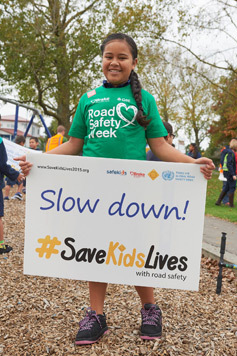 Help Brake prevent road deaths and injuries, and support victims of road crashes, by fundraising during Road Safety Week. 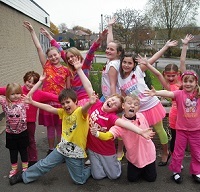 Many organisations, schools and individuals run fundraising activities during the Week as a fun, lively way to promote road safety within their community. Join in with our Virtual Run! You decide when, where and how far you run, jog or walk. Enter a local 5K or 10K run, use the treadmill at the gym, or just go for a walk around your local park. Even if you’ve never run before, you can start off SLOW and gradually speed up your stamina and fitness. 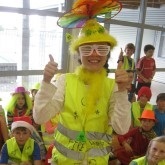 Hold a Bright Day – a dress down day with a difference, where everyone comes in wearing their brightest clothes in return for a gold coin donation to Brake. You’ll also be helping to remind drivers to look out for people on foot and bike. Visit the main fundraising pages on the Brake website for more great ideas. Order other low-cost resources, such as t-shirts and balloons, from the Brake shop.